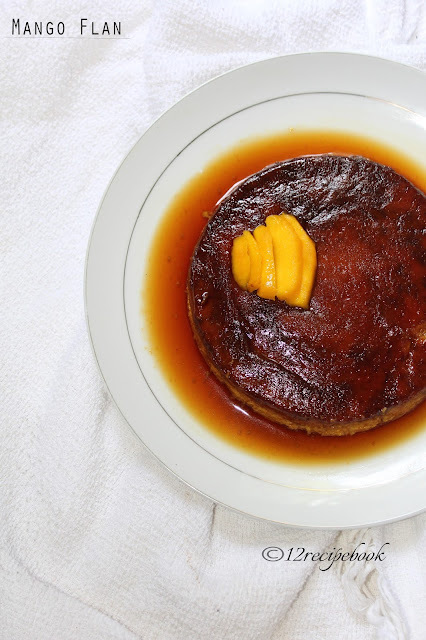 Mango flan is a delicious caramel pudding bursting with the seasonal flavor. It is simple easy to make and just melt in your mouth. 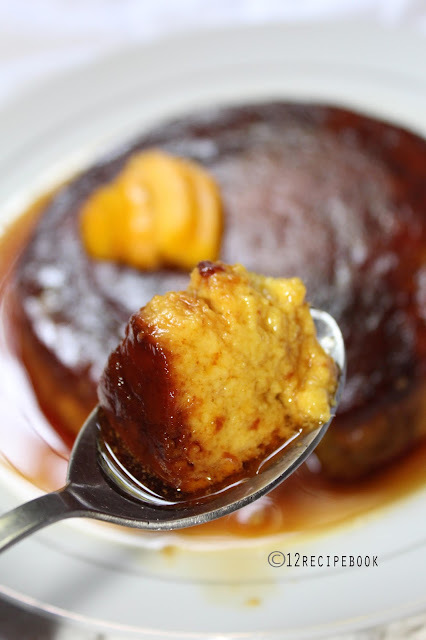 I already added the recipes bread caramel pudding, caramel orange pudding and coconut caramel pudding in my blog. Do check out!. Here is the recipe for another caramel treat with mango flavor. In the flan preparing pan add 1 tbsp of sugar and 1 tsp of water. Heat on medium-high flame and when it starts melting and changing the color to golden reduce the flame to low. When it changes completely dark golden; switch off the flame; swirl the pan to reach the caramel evenly on the bottom. In a blender add all the ingredients and blend until smooth and creamy (without any lumps). Steam cook it for about 20 minutes by covering the lid. (or bake for an hour in double boiler). After cools down; run a sharp knife through the edges of the pan and invert in to a serving plate. Chill for an hour and serve!! !